We�ve all done it. Lost our keys. Lost that important piece of paper. Gotten frustrated by the mess that prevents us from doing something we need to do. Countless hours are wasted each year digging through things, looking for things, and being slowed down by clutter. Money is spent buying things we know we have but just can�t find. The clutter isn�t just a mess � it�s an impediment to your serene living. 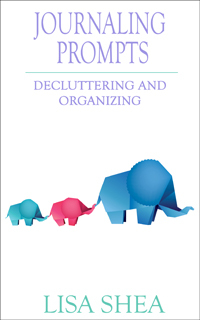 This set of 32 prompts takes you through a full month of working through decluttering and organizing challenges, plus a bonus day as a treat. Invest a month in creating a positive living and working environment. On developing an atmosphere which supports you in reaching your dreams.